Dealing with oestrogen dominance by rebalancing with bioidentical natural progesterone is essential for healthy hormone balance. 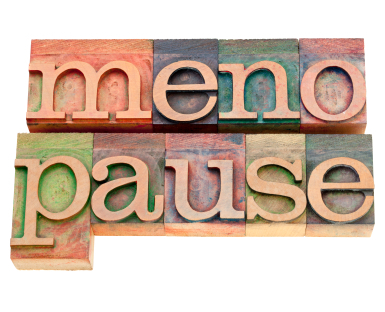 Women from puberty to post-menopause can be affected but just how much do you know about it? Whatever a woman’s age, or health, it is vital that her hormones are in balance. If you want to tackle Oestrogen Dominance then paying attention to lifestyle factors and diet is a good place to start. The best way however is to increase your progesterone levels to restore the normal oestrogen/progesterone ratio in the body. The most effective way to do that is by using a bio-identical natural progesterone hormone cream to deal with symptoms and bring back hormonal balance. As we are now more affected by massive amounts of oestrogen not only through synthetic hormones such as the Pill and HRT, but also through xenosestrogens in our water supply, environment, and food chain, it is more important than ever to know how to keep your hormone system on an even keel. If you are investigating using natural hormones, then one of the key phrases you will come across is that of Oestrogen Dominance. It refers to the state where the key hormones oestrogen and progesterone are not in balance, but that oestrogen is present in a higher ratio than progesterone. You can still be oestrogen dominant with very low levels of oestrogen,if your progesterone levels are lower still. For optimal health these two hormones must be balanced an when they are not it can lead to a number of unpleasant symptoms such as weight gain, hot flashes and mood swings. Such imbalance can seriously impact your health, particularly at menopause, and affect your sense of wellbeing physically, emotionally and mentally. 1 It was the American physician Dr John Lee who first used the term oestrogen dominance to describe the condition when oestrogen is not being balanced by progesterone in a woman’s body. 2 Despite claims to the contrary, it cannot be diagnosed by ‘looking’ but only by reference to symptoms and/or a blood test. 3 Women produce oestrogen all through their lives from puberty onwards, but it declines at menopause as ovulation ceases. As a result, the ovary does not produce progesterone and the oestrogen is not balanced in the body. Even after a hysterectomy where the ovaries are left, there will often be little or no progesterone being produced but women contain to produce oestrogen from the fat cells of the stomach, abdomen and thighs. 4 Oestrogen is the general term we use, but actually there are three oestrogens present in a woman’s body: oestradiol, oestrone and oestriol. Oestradiol and oestriol are present in combination creams where some oestrogen as well as progesterone is needed. 5 At every stage of a woman’s life from puberty onwards, oestrogen needs to be balanced by progesterone for optimal hormonal health. 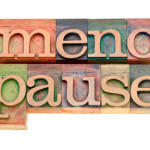 From symptoms such as heavy bleeding, PMS, PCOS and low fertility in the early years to hot flushes, endometriosis, fibroids and osteoporosis at menopause it is essential to deal with the hormone imbalance to reduce these symptoms. 6 You can have high levels of oestrogen, or low levels, and both can result in oestrogen dominance. 7 It is not the levels of oestrogen and progesterone that are important in themselves, it is their ratio to each other that matters and whether they are in balance so that one does not predominate over the other. 8 Every effect of oestrogen is balanced by progesterone so they work in harmony: for instance oestrogen causes fluid retention, but progesterone is a natural diuretic and in this way can help women lose weight, and reduce blood pressure. 9 Oestrogen dominance is linked to a number of conditions including breast cancer as oestrogen stimulates breast tissue but progesterone protects it. The same is true for the risk for heart disease and strokes as progesterone is again protective of heart health. 10 You may think you do not have any excess oestrogen risk but oestrogen is present in the environment and plastic products and drinking water as well as in medications such as the Pill and HRT.